It is everywhere! In our morning emails we see advertisements for this “healthy” new mayonnaise. On Facebook, someone is touting salad dressings created with this alternative oil. And even at the health food store the other day there was a tasting of Italian bread dipped in this new culinary queen of the oils. Let’s face it, we have a new darling of the day and it’s called avocado oil… But, what do we really know about how it may be affecting our health? Manufacturers want you to believe that the health benefits of avocado oil should make all other oils green with envy. But, let’s dig a little deeper and discover if these claims are true or if they are just a Guac of sh$t! There are two valid benefits of avocado oil. First, avocado oil does have a high smoke point, which makes it very adaptable in the kitchen. Next, the flavor is mild and doesn’t interfere with the flavoring of your dishes. Ok… enough said…no one is debating these—So, let’s move forward. The Bad, and the Really Ugly Truth About Your Avocado Oil. Who doesn’t love the rich texture of mayonnaise or mayo-based dipping sauce for their juicy burger, or the taste of a Greek dressing drizzled over a really big salad? We sure do. But, what if we restate it this way… Who doesn’t love a heaping dose of inflammation on their burger, or a fresh splash of cognitive decline over a really big salad? Does that still sound appetizing? We doubt it. However, more than likely that isn’t what you were thinking when you bought this new super food. So, what is it we have against avocado oil? Is it a personal vendetta? No, it is the fact that the micronutrient make-up of avocado oil is adding to your inflammation and inflammation is a major issue for our readers. In fact, it may just be the number one issue affecting the ill health of Americans today. Is the avocado oil mayo or Greek dressing really worth the risk of those conditions listed above? Probably not. Now, we are not saying that one serving of avocado oil is going to cause those conditions. 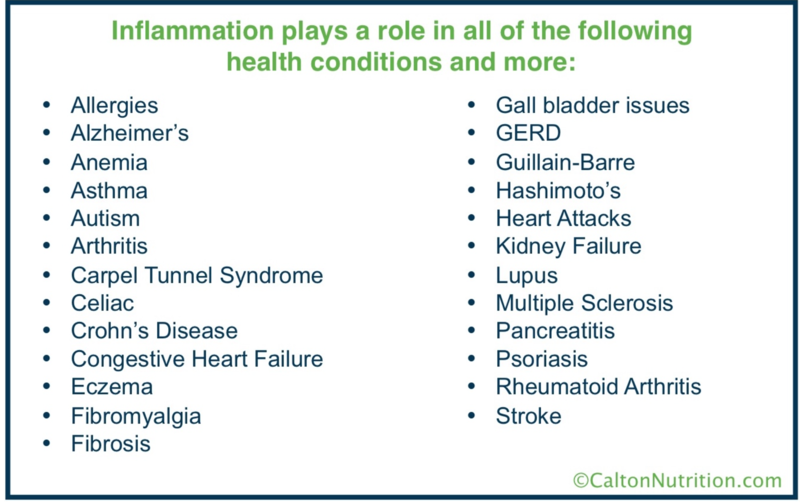 But, it will add to the likelihood of inflammation and that in turn puts you at high risk for these conditions. And let’s face it… Who uses only one TBSP of salad dressing on a really big salad? So how does this “healthful” oil have such unhealthy side effects? It all comes down to the omega-3 to omega-6 ratio. Yes, we are back on micronutrients again with this blog focusing on our Essential Fatty Acids (EFAs). 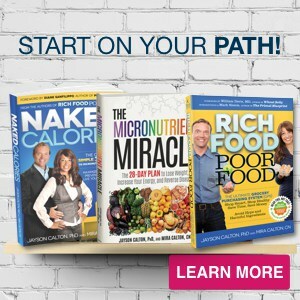 Remember, micronutrients include your vitamins, minerals, essential amino acids and your essential fatty acids. Our ancestors, who were free of modern diseases, like heart disease, cancer, autoimmune conditions and diabetes, ate a diet lower in omega-6 and higher in omega-3. Their diets were roughly a 1:1 ratio of omega-6 to omega-3. Today, our diets have skewed, due to the industrial revolution, to a reported average someplace around a 16:1 ratio (and as high as 25:1 in some people). (1) As a lower ratio of omega-6:omega-3 fatty acids is more desirable in reducing the risk of many of the chronic diseases of high prevalence in Western societies, this new higher ratio is something that each of us, individually, must take into account in order to achieve optimal health. We will slightly over simplify the science here and say that omega-3 is anti-inflammatory, while most omega-6 is inflammatory. So, to reduce diseases linked to inflammation it is essential to eat foods that help to increase your omega-3 levels and to avoid foods that increase your omega-6 levels. So, let’s get back to the avocado oil. Each single tablespoon (14 g) of avocado oil has a whopping 1754 mg of omega-6 and only 134 mg of omega-3. That is a 13:1 ratio in favor of unwanted omega-6. While you thought you were being pretty awesome by taking your 1000 mg fish oil capsule that morning, the truth is even with only 1 TBSP of avocado oil you will still find yourself deficient in achieving a 1:1 ratio of omega 6 to omega 3. Even your omega-3 fish oil supplement is not enough to counter balance the omega 6 in that single TBSP of avocado oil. Making matters worse is the competition between omega-6 and omega-3. 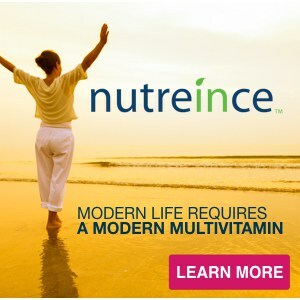 That’s right—those annoying micronutrient competitions that we are always referring to strike again. Just like zinc and copper, which compete for a common receptor site, or absorption pathway, your EFAs (omega-6 and omega-3) also compete for absorption. This means that as you eat more omega-6 your omega-3 absorption is reduced. (2) So even if you try to take extra fish oil to counteract the avocado oil the efficacy of that fish oil is lowered. Don’t be angry that these companies led you astray. They did, after all, upgrade your dressing and mayo from GMO soybean oil. 🙂 But, you might want to be a tad annoyed. After all when we read through the pro avocado oil advertisements we found two pretty amazing and fairly misleading claims. Misleading Claim 1: Research shows that avocado oil really boosts the absorption of carotenoids. The Truth: Ok, so they have a point here in that carotenoids, being fat-soluble, are better absorbed when fat is present. But, this is true even of soybean oil… so that isn’t saying much. Coconut oil can do the same, as it contain the long chain fatty acids that help to stimulate the release of bile acid, which is needed for the absorption of fat-soluble vitamins. And coconut oil is preferable because it does not contain nearly as much omega-6. Coconut oil contains 7 times less omega-6 per TBSP than the offending avocado oil (257 mg vs. 1754 mg). Misleading Claim 2: Avocados are loaded with nutrients so avocado oil is as well. The Truth: We haven’t seen anyone say it this way, but one might think, and incorrectly so, from reading the write ups on avocado oil that simply because an avocado (the fruit) is filled with micronutrients so is it’s oil. This is completely false. In fact, you are stripping 2 whole, really micronutrient dense avocados, containing loads of potassium, glutathione magnesium, choline and folate, in order to create 1.5 TBSP of micronutrient poor, omega-6 rich avocado oil. Not only do you lose the enjoyment of eating the avocado, but you also lost the benefits of the inflammation fighting micronutrients it contains. That seems a little crazy to us! So, how do we decide if avocado oil should make its way home to your pantry? Well, there is a great guidebook we know about on supermarket safety. Let’s see what it has to say. According to Rich Food Poor Food (Primal Nutrition, 2013), “When deciding if a food is a friend or a foe, we need to weigh two factors—the benefits of the food and the risk involved in eating it.” (We just love quoting ourselves!) Let’s review the benefits. It tastes good and is easy to work with in the kitchen. And on the risk side we have that it puts your health in jeopardy because the more you use the greater the gap in the omega-6 to omega-3 ratio. Now, pro-avocado oil people will tell you that just a little extra omega-6 isn’t going to hurt anyone. But, that’s just like the sugar council telling you that just a tablespoon here or there of the refined white devil is ok, or Monsanto suggesting that a few GMOs on your plate covered in DDT shouldn’t be of concern either. It sounds to us like that “everything in moderation” line that manufacturers use to make consumers feel safe. You can decide for yourself how important your omega-6 to omega-3 ratio really is. Here is a study that might help. According to research published in the prestigious medical journal The Lancet, A diet with a omega-6 to omega-3 ratio of 4:1 or less may reduce total mortality by up to 70% over 2 years. (3) We hope that helps the relevance of the omega-6 ratio sink in. 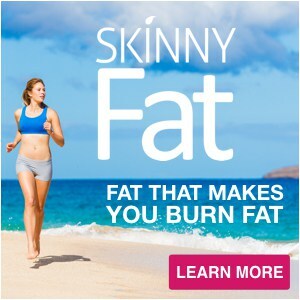 Ditch the POOR FOOD avocado oil and enjoy the great taste of RICH FOOD SKINNYFat in your salad dressings and mayonnaise. Look at this one simple swap. POOR FOOD: Greek salad dressing made with avocado oil. The average serving size for dressing is 4 TBSP – restaurants actually give you 8! A 4 TBSP serving of this POOR FOOD Greek salad dressing made with avocado oil contains approximately 4762 mg of omega-6. You would have to take 5 fish oil capsules to counteract this much omega-6. Or you could choose to eat between 15 and 20 ounces of cooked wild sockeye salmon, which would cost you between $34.50 and $46 at Vital Choice. Is that salad dressing really worth getting that deep behind the omega-6 8-ball? Are you really that hungry or that rich? In this new recipe below (adapted from the Ina Garten recipe) you will also get to enjoy 4 TBSP of dressing, but this time you can enjoy it with a clear conscious. A 4 TBSP serving of this RICH FOOD Greek salad dressing made with SKINNYFat olive only contains 594 mg of omega 6! This reduces your omega-6 intake by a whopping 88%! 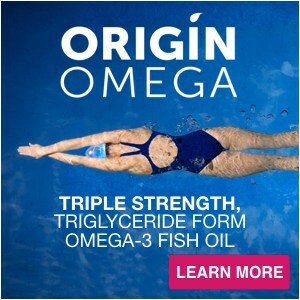 A daily serving of fish oil (such as our triple strength Origin Omega) will give you more than you need. Even if you had two salads a day you would still have a beneficial omega 6 to omega 3 ratio of nearly 1:2! So, there you have it! 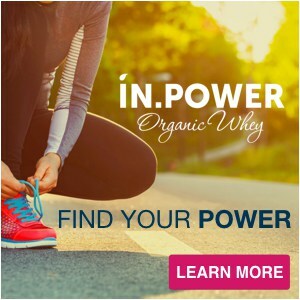 That is our simple way to swap out Poor Food dressings for Rich Food options and greatly reduce your inflammation causing omega 6 levels while improving your inflammation reducing omega-3 ratios. If you are looking to ditch that avocado mayonnaise (which is loaded with omega-6 from the avocado oil) check out our simple SKINNYFat mayonnaise video here. Swap out the avocado oil for some SKINNYFat and save some GR$$N too! 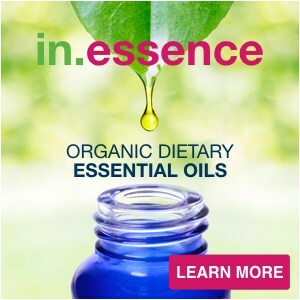 Use coupon code: MiracleOil and save $5 off your first purchase of this…well, miracle oil! Whisk together the minced garlic, oregano, mustard, vinegar, salt and pepper in a small bowl. Continue whisking and slowly add the SKINNYFat Olive to make an emulsion. Download a copy of this Greek Salad Dressing Recipe to keep handy in your kitchen!